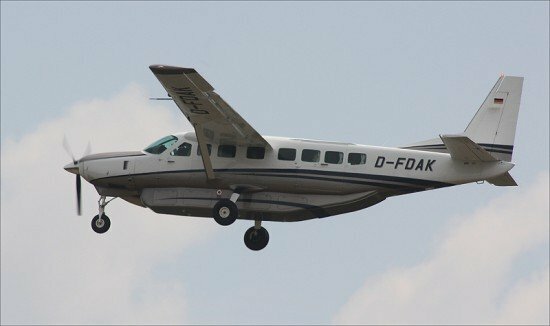 The Federal Aviation Administration (FAA) is proposing a civil penalty of $185,750 against Kingfisher Air Services Air Safari, Inc., of San Juan, Puerto Rico, for allegedly operating a Cessna 208B Grand Caravan on 44 flights between June 2 and June 11, 2010, when it was not in compliance with Federal Aviation Regulations. The FAA alleges that three pilots reported that the aircraft’s engine temperature exceeded the take-off limits before the carrier took the required maintenance action and had the engine repaired. The engine maintenance manual requires the operator to send the engine to an overhaul facility for a light overhaul when such problems are reported. The carrier failed to send the engine for overhaul after the first and second pilot reports. Kingfisher Air has 30 days from receipt of the FAA’s civil penalty letter to respond to the agency.